Im At Summit Now What? We are a week out from PASS Summit 2014 and there will be many there attending for the first time. You are in the same boat I was in back in 2011. To be quite honest, I’ve never seen or attended anything quite like it before. No, it’s not some mythical place that you hear about. It is a real conference with real people who are in the daily trenches just like you are. The key that I learned back in 2011 is to step out of your comfort zone, meet some new people, network, speak with the vendors, and get your learn on. Will you be overwhelmed, perhaps, but keep in mind that you are not the only one. This event is by far, in my humble opinion, one of the best learning opportunities in our industry and field. There will be plenty of sessions to go through and attend along with some other activities once the sessions end ~ get involved. Eating – this might look weird putting that on here but take advantage of eating at a table with others you don’t know. Introduce yourself I promise it won’t hurt. I have some commitments while I am there this year, but make sure you stop me and say hi and introduce yourself. Without a doubt I look at my career and there is one thing that stands out that helped change my career outlook – attending PASS Summit. Safe travels to everyone attending and hope to see you there. 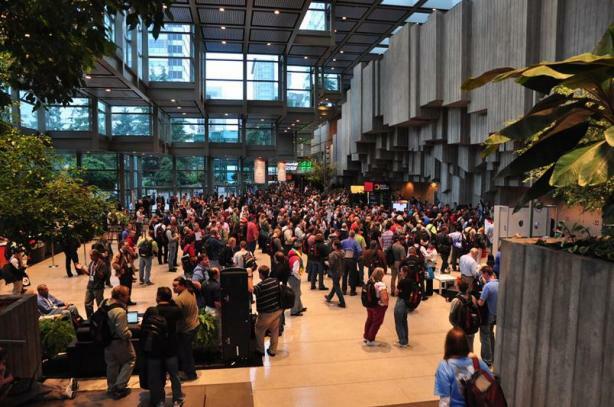 This entry was posted in PASS, SQL Server and tagged #passsummit2014, #sqlfamily, SQLServer by Chris Yates. Bookmark the permalink.